There is a very common condition among adults that we tend to overlook. 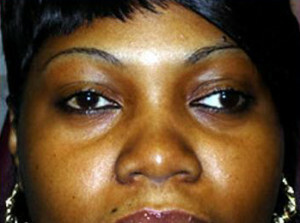 Adults sometimes suffer from a serious aesthetic condition called Strabismus, which causes the misalignment of the eyes. It can be easily recognized by the way in which the eyes are crossed. Many have heard of this condition by its slang name, “crossed eyes”. But this condition is far from being humorous and has stricken many people. Some adults were born with the condition and do not have it corrected in adulthood. But some, however, acquire the condition from strokes or brain tumors suffering with the condition along with side effect. Not only is the condition considered aesthetically unpleasing; it is also the cause of double vision which impairs the individual from doing many mundane things. There are ways of correcting Strabismus in adults. One helpful solution is corrective lenses called prism lenses. The other is surgery. Of course the opt for wearing the lenses is the least invasive route. But the lenses do not correct the cosmetic problems with the condition. Many people eventually opt for surgery and prepare themselves for the healing process. Most individuals find the process worth the pain and suffering. In some cases, one operation is not enough to permanently fix the problem. Sometimes, an additional procedure will be needed to complete the reconstruction of the ocular muscle. The surgery does have some risks, however; and it is best to be edcuated on the procedure. There is always the chance that the double vision may not entirely be corrected with the surgery. In most cases there is still temporary double vision which corrects itself over time. There is also serious risks which are fairly uncommon but should be taken into account. These risks include bleeding and retinal detachment. Risks are higher for those who have poor health to begin with. There is some pain after the procedure is done. Most types of discomfort is headaches and the feeling of having something lodged in your eye. Most of these bad sensations will dissipate after just a few weeks post operation. The procedure is usual done by outpatient and directions are given as to how to take care of the eyes during the healing process. Although there are restrictions which prohibit swimming and heavy activity for the first couple of weeks, so most after effects will depend on the individuals desire to follow directions. One popular inquiry about the repair of Strabismus is the question of insurance coverage. Different insurance companies have various rules and stipulations regarding surgical procedures. This is something worth looking into before proceeding. Although Strabismus seems like a misfortunate problem, there are ways of correcting this issue making life just a little bit easier. This entry was posted in Eye condition and tagged eye condition, eye problem on July 31, 2013 by Yami.